A former East Palo Alto, CA, police explorer who responded to an officer shot and killed in 2006 followed the footsteps of that officer to join the force. 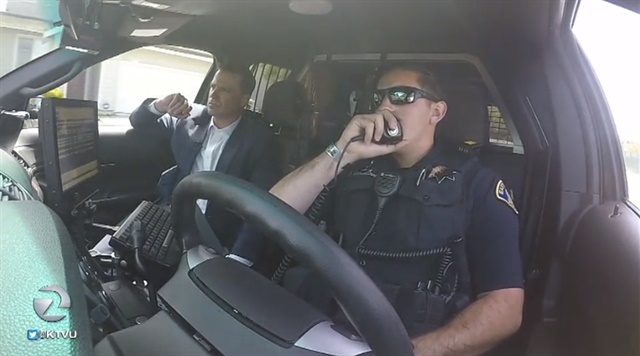 Officer Richard May was on patrol in the area with police explorer Marco Marquez in the passenger seat of his vehicle when he received a call about a fight at a restaurant. The two responded to the call. Police say May spotted suspect Alberto Alvarez leaving the restaurant and followed him in his patrol car for a block. May then got out and confronted him. A struggle took place, shots were fired and Officer May dropped to the ground. He was pronounced dead at the scene. East Palo Alto Police Officer Dave Carson was one of the first responding officers. He too had a police explorer riding with him, 14-year-old Jose Luaorozco, an explorer who May had taken the time to mentor and inspire. A few years later, inspired by Richard May, former police explorer Jose Luaorozco became a United States Marine. "I followed in his footsteps - joined the Marine Corps, because he was a Marine." He wasn't done. Two years ago Luaorozco became an East Palo Alto Police Officer just like Richard May. "I think he would be really proud of how far he's come," Richard May's widow Diana May told KTVU. "Gives me chills hearing that Rich inspired him and was that much of an influence on him that he would want to follow in his footsteps like that." East Palo Alto Police Chief Albert Pardini said the police explorer who was with May that January day in 2006, Marco Marquez, is now a police dispatcher in the Bay Area. He declined to comment for the story, but the Chief says Marquez is still considering becoming a police officer.